Dye Sublimation Printing is a printing technique that is used for a variety of surfaces and results in high quality printed graphics. The process does require special equipment and a certain level of expertise for optimal results. However, dye sublimation is a perfect solution for printing on uncommon or unusual surfaces. If you are wondering if you can have a design printed on a certain surface, the answer is probably yes. Sublimation uses high heat and extreme pressure to dye specially formulated inks to the desired surface. The inks are applied using what the printing industry calls a carrier sheet. High heat causes the colors to permeate the desired surface and create a high-quality image. Dye sublimation can be used to print patterns or images. 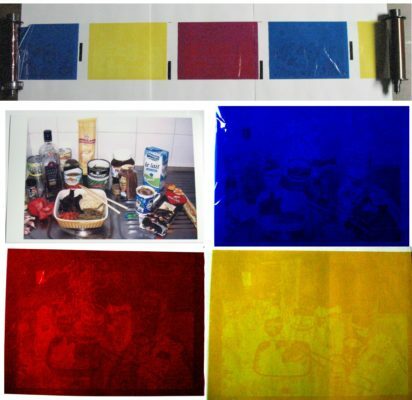 The result is a graphic that is more resistant to fading and distortion over time compared to other printing techniques. order clomid online reviews my link Rigid Substrates: From the trash cans we just mentioned to custom shaped signs, dye sublimation works great for rigid substrates. In the case of glass, aluminum, acrylic, and other hard materials, a polymer treatment is required. Blank Products: If you are considering branding or designing some unusual items such as pet bowls, smartphone cases, or tumblers, dye sublimation is an easy solution. Print your photography, graphic designs, or logo on any blank product. Do you have a surface in mind that does not fall under the above types of surfaces? Not a problem! Pre-treatments are an option that allows you to print on virtually any surface. Theme parks, restaurants, and marine-based companies are just a few businesses that often require printing on unusual surfaces. Dye sublimation printing is likely a great option for many of your printing needs. If you are looking to print on an unusual or uncommon surface, Florida Graphic Services would be happy to evaluate your needs and provide a quote. Contact Florida Graphic Services for all of your custom graphic and dye sublimation printing needs!